This search engine has a more detailed description of the property than a typical web site display. 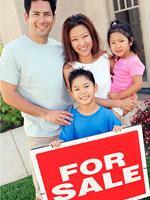 And as a prospective buyer or seller you can search for real estate by any number of criteria. All realtors who are members of the Prescott Area Association of Realtors place their Prescott area property listings in the MLS (Multiple Listing Service). The Prescott MLS encompasses all of Yavapai County, Arizona. Buyers : I will be happy to show you the properties you find during your search. E-mail me at maryjo@maryjog.net or call 928-899-2396 to make a showing appointment. If you would like to be notified of new properties that are listed in the MLS that meet your search criteria, contact me and I will place your profile and criteria in the MLS automated notification system. Sellers : When you are ready to list your property, please allow me to show you how the MLS and other search engines can increase the effective marketing I have planned for your property.